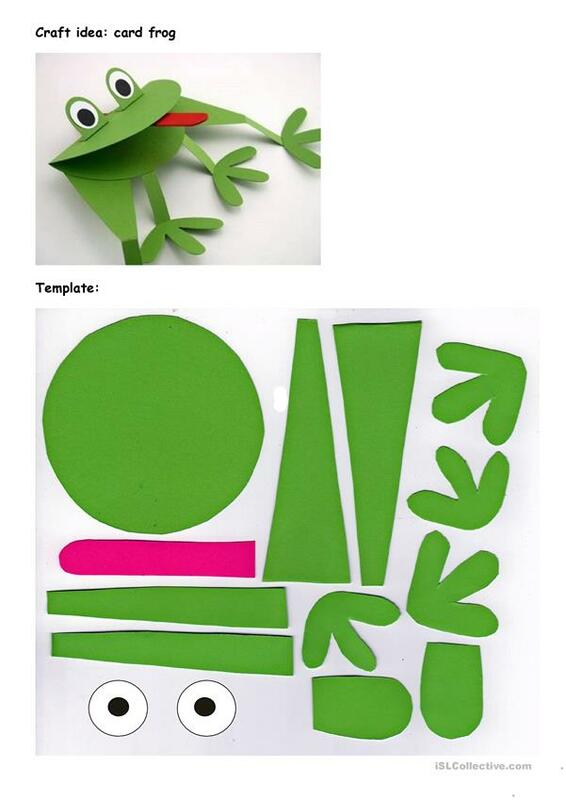 Frog Song and craft idea with template. 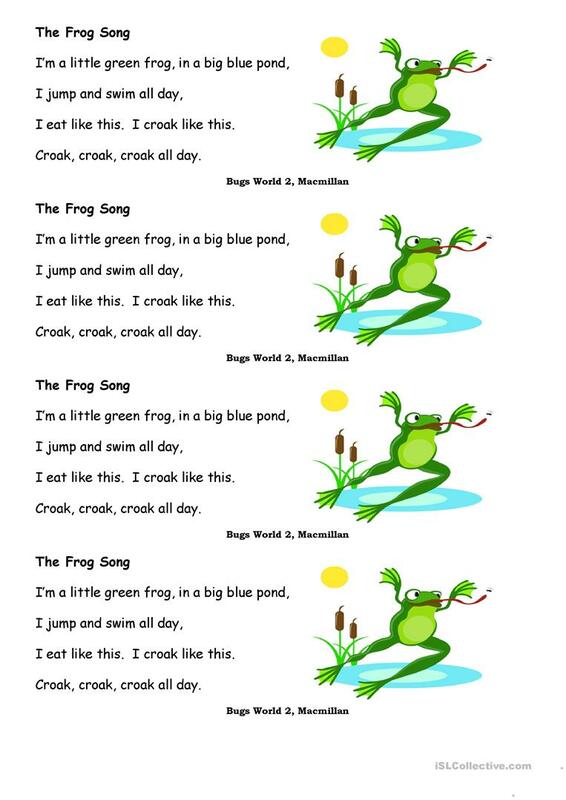 The above downloadable printable is best suited for elementary school students and kindergartners and nursery school students at Beginner (pre-A1) and Elementary (A1) level. It is great for consolidating Present simple tense in English, and can be used for honing your students' Speaking skills. It features the vocabulary topic of Animals.